There is no assembly line here at Ski Tek. We work with the client as long as it takes to make the fit perfect. We don't skip steps, cut corners, or rush (unless you come in at 1 and want to get on the mountain at 2)! We care about educating you on your health, and understand how boot fitting can make or break a foot. ​Most people get boots that are too big. We recommend to always shell-fit a boot first. Shell-fitting is pulling out the liner then putting the bare foot in the shell and checking the fit with a flashlight. With the toes barely touching the front of the boot, there should be about a thumb’s width at the heel. New liners almost always feel too small at first, but will soon mold to the foot and feel great. Shells often wear out on the toe and heel— but don’t throw them away just yet! Most bottoms can be replaced with original or custom plates or lifters, giving your boots new life. Buckle up—all the way! 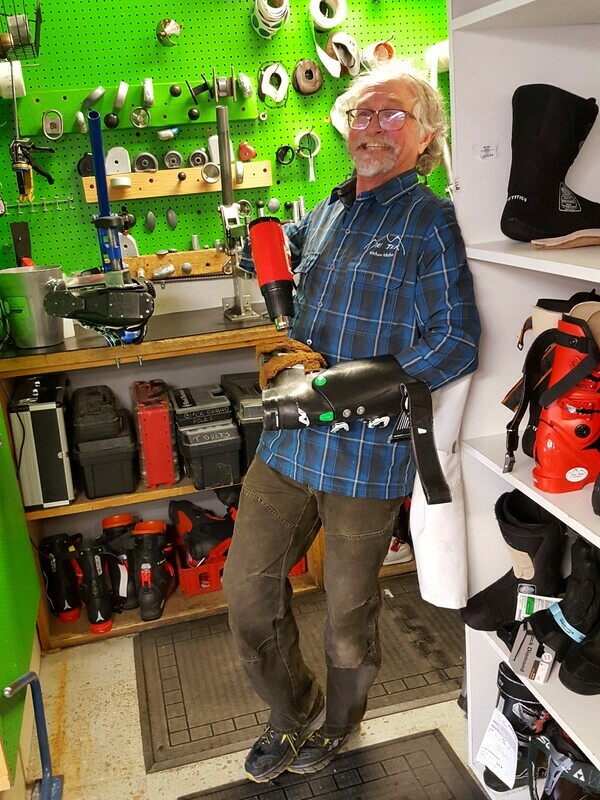 “When you are fitting a new boot, buckle them up like you would while skiing so that your heel moves back into the heel pocket,” Brent says. “Otherwise the right size boot will always feel too small.” And always make sure that your boot-fitter puts your naked foot in the shell. It is important that the shell looks like your foot. The difference between men and women's feet is significant, but fitters don't always account for it, Women's heels are smaller and forefeet are wider. So ladies, while you shouldn’t be afraid to try those women-specific boots, make sure they fit you correctly. Brent often sees women with boots too soft for mighty Baldy! A good pair of boots should last 5 to 10 years. To help extend the life of your boots after your original liners wear out you can put in an aftermarket liner. This will get you another two to three years out of your boots. There is nothing wrong with a little stiffness. 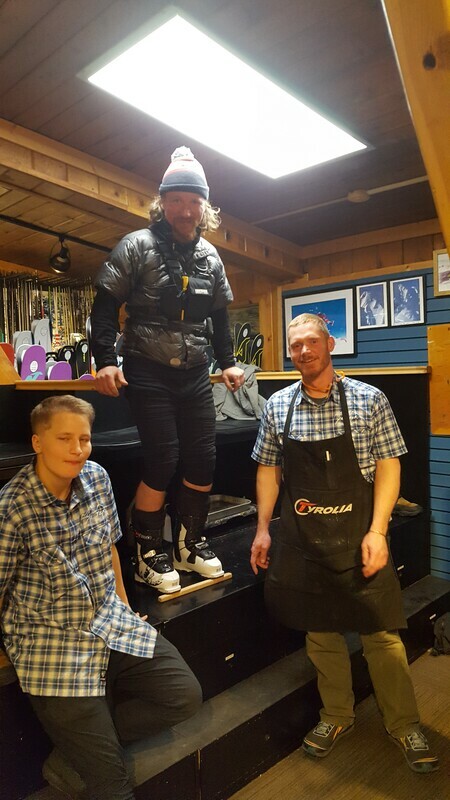 If your boots aren’t firm enough to hold your lower legs in place and make the skis work, you start cheating and taxing your quads. Brent says he sees too many people with loose boots who end up destroying their quads after only a few runs. Don’t make the same mistake. Outfit your foot—get the right sock! Bad socks can ruin the feel of a good fit, so make sure you wear the proper sock for trying on new boots and when skiing. Brent recommends wool alpaca compression socks that are tight and thin for both comfort and function.